The House of Representatives has passed a motion urging the executive to stop the operations of all refineries in Nigeria due to the huge debts being incurred despite the fact that they are barely functioning. The motion was passed on Wednesday. It pointed out that the inability of the refineries to serve local consumption is responsible for the country’s dependence on imported refined products and resultant fuel scarcity across the country. 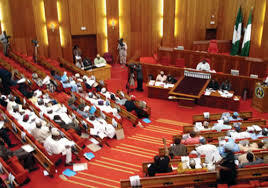 The House has also called for the issue of privatization of the refineries to be revisited and urgently considered.